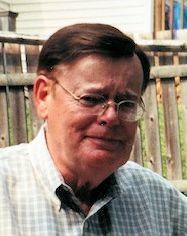 McNAMARA, Martin J., of Brockton, passed away peacefully, after a long illness, on February 2, 2019, at the age of 91. Born in Charlestown, Martin grew up and was educated in Boston. He then went on to earn his Bachelor’s Degree in Accounting from Bentley University. He proudly served his country in the United States Army during WWII where he was awarded several commendations including the WWII Victory Medal and the Army of Occupation Medal. Prior to his retirement, Martin worked as a CPA for several years for both the Commonwealth of Massachusetts and Blue Cross and Blue Shield. In his free time, he had a passion for painting, traveling and old Western movies. A devoted husband, son, brother and friend, Martin will be sorely missed by all who were blessed to have known him. Martin was the husband of the late Helen McNamara. Son of the late Maurice and Karin McNamara. Devoted brother of Margaret Taros of Milton and the late Marie Norris, Anna Parent, Elsa Erickson, Helen “Alice” Gannon and Maurica Nugent. Also survived by several nieces and nephews. Relatives and friends are respectfully invited to attend a Visitation Period on Wednesday, February 6th from 11:00 AM – 1:00 PM in the Cartwright Funeral Home, 419 No. Main St. (Rt. 28), Randolph. A Funeral Service will be held at 1:00 PM in the Funeral Home. Burial will be private. Should friends desire, memorial contributions may be made in his name to the MSPCA-Angell, Attn: Donations, 350 South Huntington Ave, Boston, MA 02130.